GANTTDIVA is an easy to use Excel Project management tool to help you create a project schedule and Gantt Chart with full support for schedule logic, including the display of all logical relationships. Built in Analytics to generate Resource Demand, Burn Down/Burn Up, Cash Flow or Timeline Charts based on your schedule. GANTTDIVA and Excel give you everything you need to manage your project. Access all task data, including hidden fields for any task via the Detailed Task information dialog by double-clicking anywhere on the row. See a full list of all predecessor and successor dependencies with the ability to modify data or navigate to any other linked task, while staying in the dialog. Fully Configurable Calendar with the ability to define holidays, customize weekend days and set exception days (where a day which is normally a workday is a day off or a day which is normally a holiday is a workday). 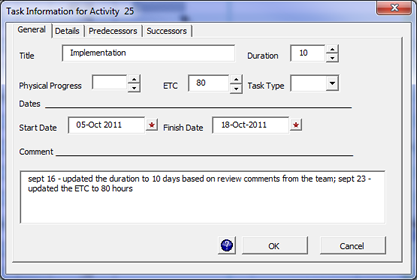 Update the calendar at any time and after a change, all tasks are updated to reflect the new information. GanttDiva comes with a full featured help file that contains a full description of all of the GanttDiva features, a comprehensive “how to” section and a detailed explanation of all of the concepts used by the scheduling program. 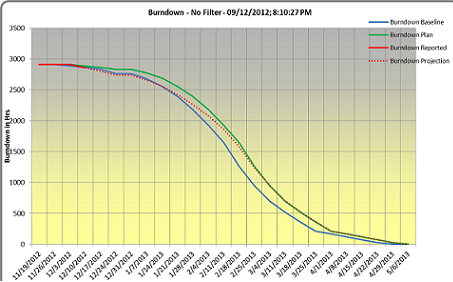 Instantly generate a burn down or burn up chart (user configurable) to monitor progress, based on the current, autofiltered view of the schedule. Measure progress against your current and baseline plan and use it to predict when your project will complete. Generate multiple charts and cross compare results to see the impact of changes in the project. Project metrics such as CPI and SPI can also be instantly generated. The Timeline Chart can also be generated at any time from your project data and is a great way to generate a powerful chronological view of your project with your tasks and milestones all drawn on a timeline graph that is suitable for use in presentations or other documents. Choose from one of 5 available styles as a starting point for your timeline, including the new Pert Chart style. Full support for autofiltering! Allocate Cash Values to activities and milestones and use this information to generate a chart tracking your project’s current and baseline cash flow. This chart is very useful for keeping track of important milestones as your project evolves. 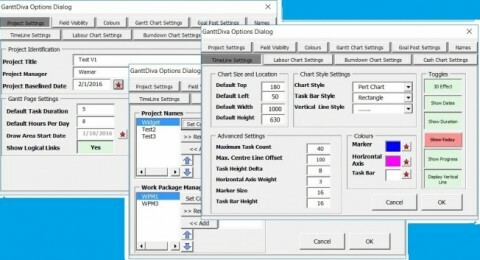 Use the GanttDiva Options Dialog to easily change the Settings for your Project. 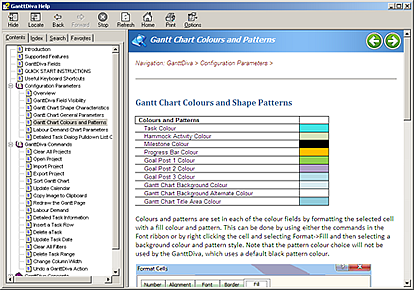 Update the colours, Gantt Chart scale, the appearance of charts, the fields to display, etc. DOWNLOAD Free Version 3.08 FOR EXCEL * New Version! If you purchase a license, upgrades to new releases are free! GanttDiva is highly configurable. 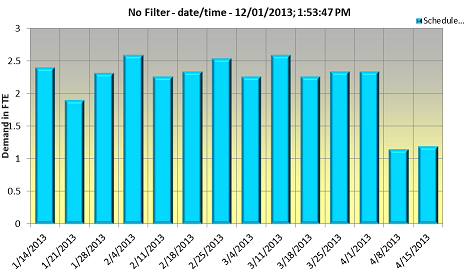 Set up the fields you need, the schedule duration, default workday length, the reporting period, screen colours, etc. GanttDiva supports Finish-Start, Start-Start and Finish-Finish logical relationships and displays all logical relationships. Import and Export GanttDiva data to and from other excel files to exchange data with other users or to rapidly build complex schedules using pre-defined templates. Use Autofiltering to drill down and analyse data.